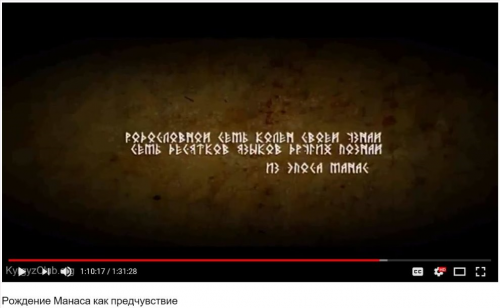 Жаш достор окуп койсоңор пайдалуу. Чоң саат (жакшы оригинал саат 500 доллардан башталат!!?) тагынып, ааламдан сүйлөп өлкө тагдырына кам көрүмүш болбой, ийгиликтүү кишинин образын ээрчимиш этип, утуру утуру тренингдэргэ көп барбай элэ иңгилиш тилди окугула. КЫРГЫЗ Илимдер Академиясында Бир эле киши ИНГЛИШЧЕ толук сүйлөйт !!!!!!!!!!!!! You can call it's "stereotype" - but yes! Especially young people working in Economy and Education, I believe they should at least understand ENGLISH! I don't really trust young people who call themselves "professionals", but they cannot follow up the world using the international language, rather relying on the third language. I don't find any excitement working with people who don't understand English! And it's f*** frustrating that they require me to do all works in Russian language. Russian is not my first language, not my working language, not the language of the world. What's the **** I need follow Russian Soviet Union standard of work?! It's your shame not to understand English, don't even dare to demand me to explain you in Russian. In the Ministry of Education and Science in the Kyrgyz Republic, among top 30 governors (Minister, Deputy Ministers, Directors...) only 1 of them is equipped with English language. And those are people who want to shape the better future for our kids and help our kids toward the Future! You are just humulating!! Back in 2000 (when I was 10 year old), my teacher in China told me that 21 century required three skills: 1) English; 2) Computer science; 3) Driving. I remembered it so well, and I started learning English at that time in a small rural area in China. Now 2018, there are still young people who don't master the skills by living in the big capitals! - what a tragety! In Georgia, in Azerbaijan, in Mongolia....their new generations have been growing up with speaking English. It's okay you don't know English now, but take action to LEARN it! GO to learn English! English helps you communicate with 1.5 billion world population and gets the first-hand information about the world what's going on!"